Smartwatches, because of all the cool stuff they can do, are power hogs. Their constant need to be recharged is inconvenient and one of the major complaints about them. Matrix Industries decided to do something about that by leveraging a technology which addresses the problem head on: thermoelectric energy generation. 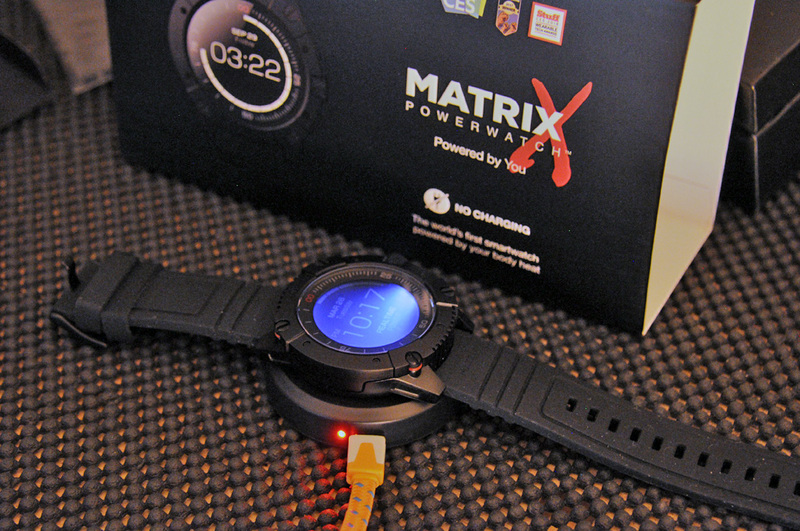 Matrix’s PowerWatches are never supposed to need conventional charging as long as they are worn. 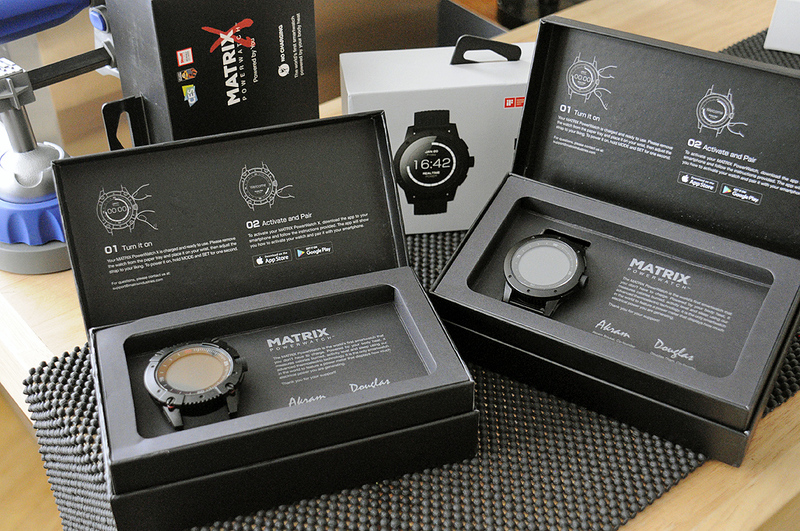 There are two models of the Matrix PowerWatch: Regular and X. The differences are minor (the Regular has a slightly smaller case, no notifications, and has a bit less water resistance), but we will be taking a closer look at the X. 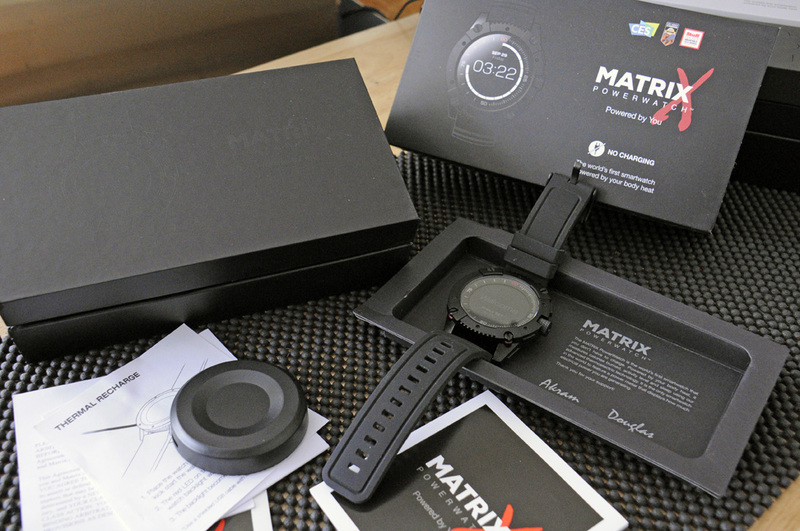 The MATRIX PowerWatch X features email and message notification, a reinforced bezel, water resistance to 200m, and a comfortable, near-indestructible silicone strap. 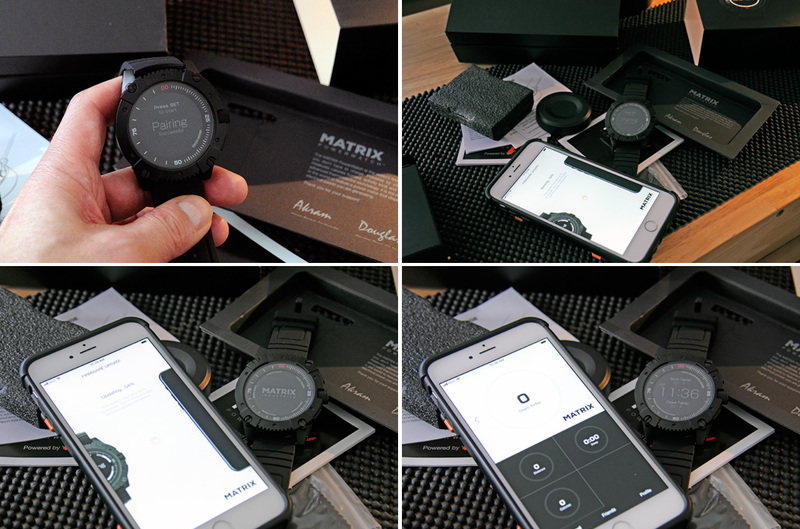 When the PowerWatch is taken out of the box for the first time, the user must create an account via a smartphone app and sync to it. 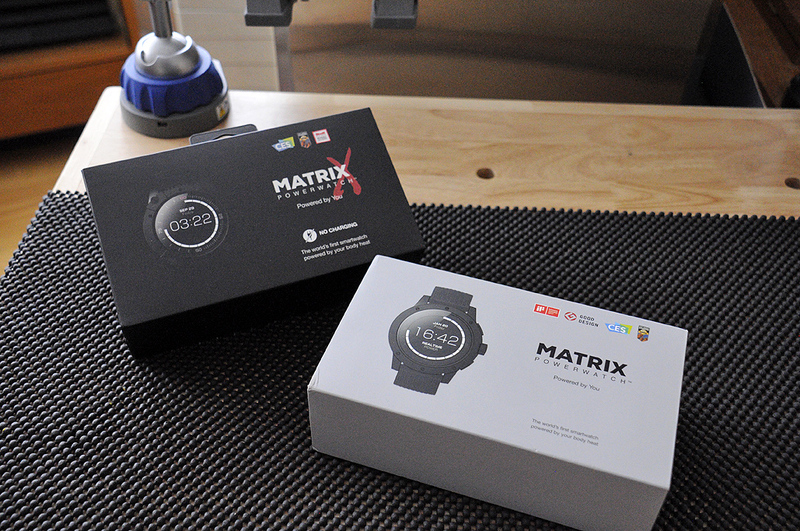 Our watch came with just enough power for the startup process. After syncing, updating, and other maintenance tasks which the app stepped us through, we were up and running in short order. TEGs need a hot side and a cold side to work. The hot side for the Powerwatch is the circular black aluminum plate on the back. The cold side is the entire metal bezel and body of the watch. 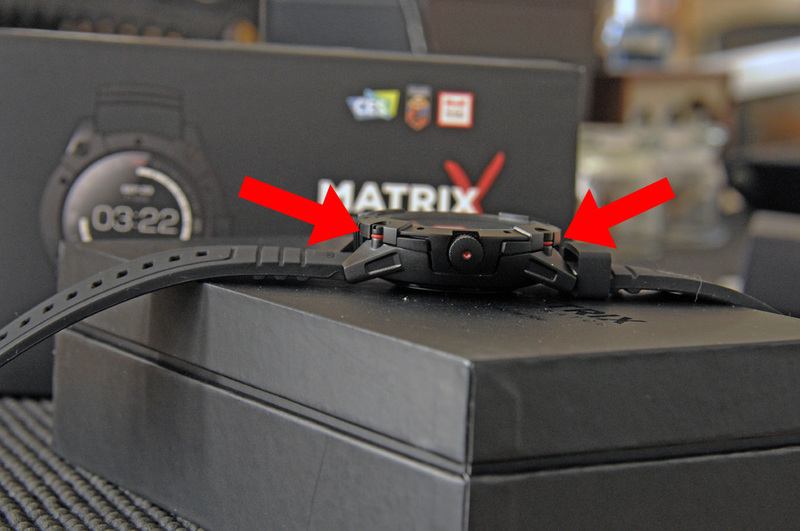 We’ll have a more detailed discussion as it relates to the PowerWatch in the FirstUse post. The hot and cold sides are separated from each other by a layer of insulating thermoplastic (red insulators being pointed at by the arrows, below). TEGs take the heat flowing from the hot side to the cold side and turns it into electricity. Those interested in the process can find more details here. 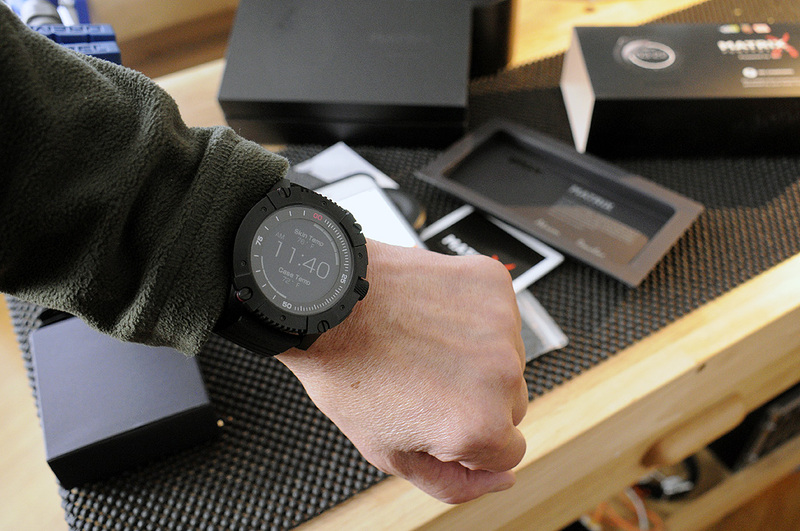 Even though the PowerWatch gets its energy from the wearer, a USB-powered heat puck is included in the box for “off-body” charging convenience. Just place the watch on the heated puck and you are good to charge. NOTE: TEG is not the same technology as inductive charging so the puck won’t work in powering up anything else. 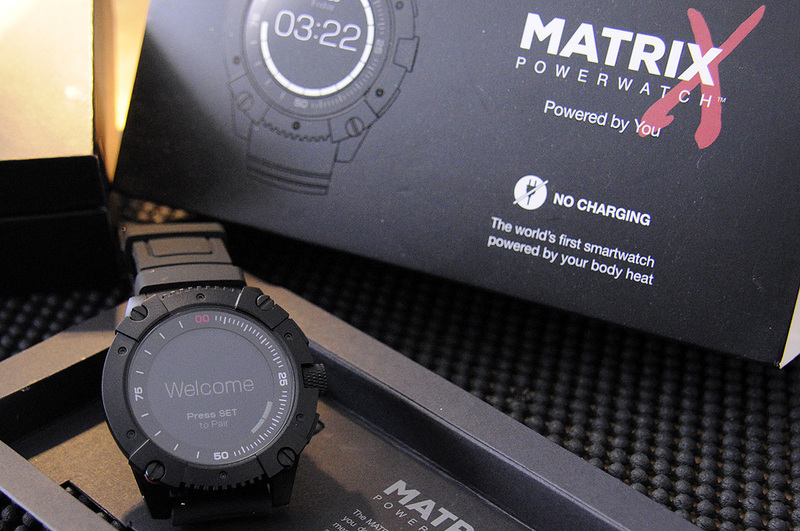 We’ll have more on the PowerWatch X once we’ve a chance to spend some quality time with it. Look for the FirstUse writeup later in this month. Fun Apps or Killer Apps?